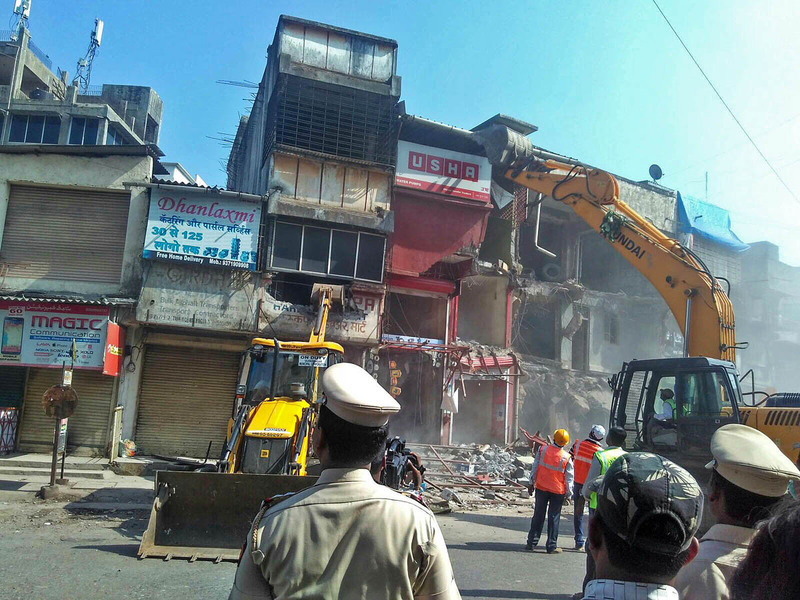 More than 800 shops demolished today to widen the Kalyan Badlapur Road to 100ft width. 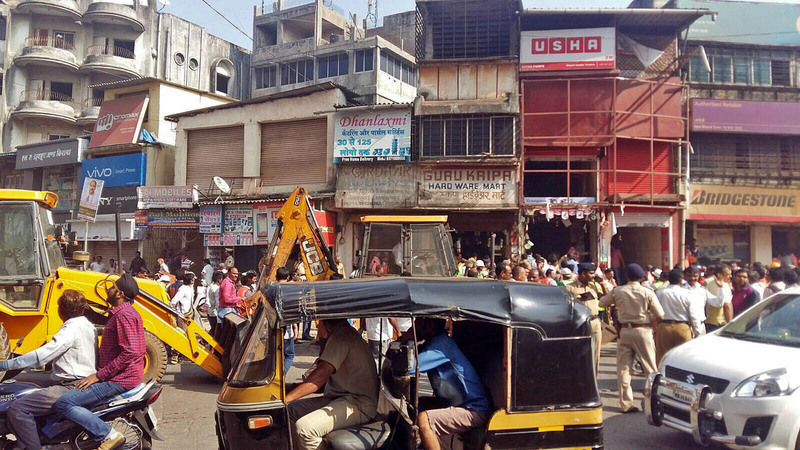 Entire Ulhasnagar 3 main road was covered with security and bulldozers to demolish shops and buildings that are interfering in the road widening process. 4th December, 2015 demolition date notice was served to all these shops. There was huge security on the roads from Shanti nagar to Radha Soami Satsang Hall. Many Politicians like Kumar Ailani, Gurmukh Jagwani, Anu Manwani & also Jyoti Kalani tried their best to stop this, but this time Government is very stern. Some experts say that road widening is directly considered as need of National security. This is no more the matter of city municipal corporation, but state level decision for National Highway. In the view you can see 17 section to Tilson shopping center in Ulhasnagar-3. 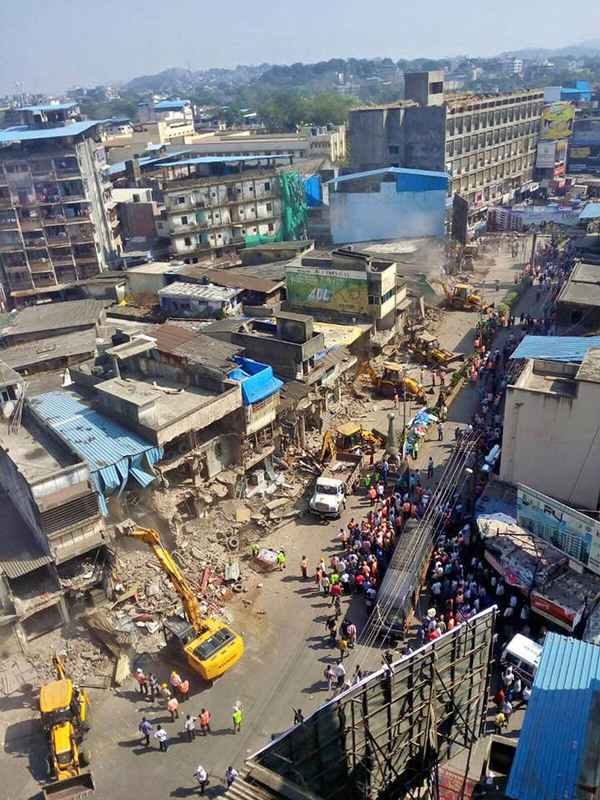 I am Indian citizen who has given vote nd I want to know what our politicians are doing today when shops are getting demolished. They are only not sure what facilities they are going to provide whose shops are getting demolished. Kalyan & Ulhasnargar Munciple corporation is following Jungle Raj… they demolished 800 shop and not going ready to relocate them shopkeepers… noboby want to help us not even politiacian… they demolished shopkeepers life. even not any single new chanel helping us. If some one illegally occupying the government land and being the obstacle in development has to obey the rules. Its very sad to loose the shops like this but each one of them knows this thing will going to happened. As the road construction anyways not initializing so quickly, government should have provided more timeline to settle the things. 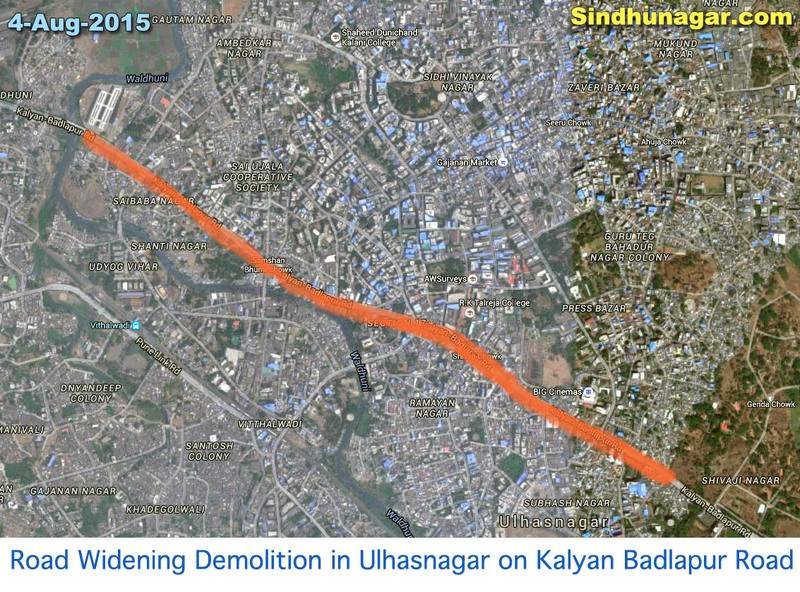 But one this is there, Ulhasnagar have lost his sparkle for sure. There were some building which was demolish but UMC did not support them and did not given relocation to them. If there was illegal why UMC charging house tax 3 decades collected taxes from them. Government Rules are pathetic who resides in slums they gets home and who resides in building and paying taxes they don’t get anything.